The plans of thousands of holidaymakers have been hit by an Air France strike on Thursday that has grounded half the airline's long-haul flights and many short-haul services. The walkout by pilots and ground crew was expected to see see 50% of long-haul flights out of Paris cancelled. 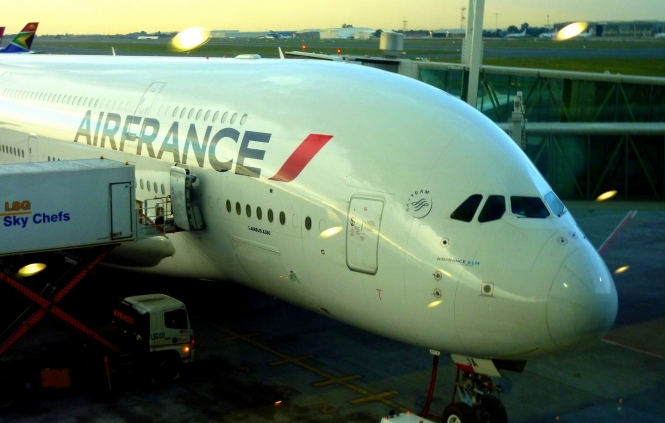 Air France has said 75% of its medium-haul flights in and out of Paris Charles de Gaulle would operate as normal, along with 85% of its short-haul services. Transavia and Hop! services are not affected, but those of new subsidiary Joon are. But it warned passengers to expect disruption and delays even on flights that remain scheduled, including services to Paris from airports such as Toulouse and Lyon. It also advised travellers to postpone their trips until February 27 at no extra cost. An estimated 28% of Air France's staff were expected to join the strike as unions demand a 6% pay increase for all workers following several years of job cuts. Bosses at the airline have offered a 1% increase paid in instalments and a range of incentives. "Daily working conditions of staff are worse and their targets do not correlate with the means that are given to them," said Christophe Maloggi from the FO union.